Like many people, I have my favourite memories of Denis Healey – and for the most part they are very personal moments. Oddly my first recollection of Denis was a near tragedy. I was wandering with friends along the lanes of rural East Sussex in the late 1970s when to our astonishment a Rover came roaring around a country bend, scattering us into the hedgerow. We all recovered our poise realising that it was the rumbustious then Chancellor who had narrowly missed us while heading back to his home at nearby Alfriston. Some years later, I was fortunate to meet this big beast of British politics at even closer quarters during one of our general election campaigns in Brighton. 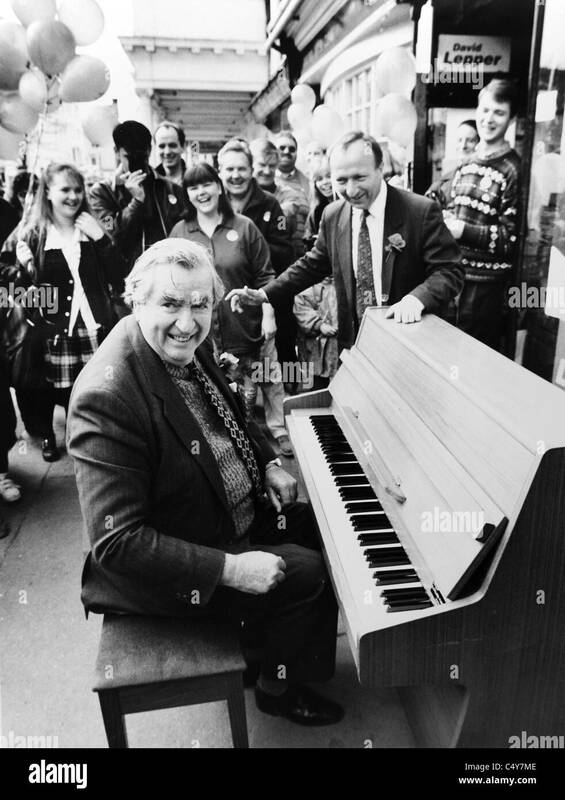 I was tasked with securing Denis's musical services and he duly turned up in the North Laine to perform as an impromptu virtuoso on a hastily found piano. He loved performing, and the idea was that it gathered support for the candidate, David Lepper. History doesn't record what Denis played but I do remember how the vast crowd was enthused by one of the Party’s best entertainers, with some of the stardust falling on David. Denis was of course instantly recognisable with his telegenic eyebrows and ready wit. They were, as I later discovered, all part of his political personality. After our landslide success in 1997, Tony Blair appointed myself and several others to the House of Lords in an effort to rebalance the numerical and political bias against Labour. I knew very few peers. Indeed, as a reformer I'd never thought much about the place other than as a bastion of privilege. I was told I needed two sponsors for my ‘introduction’ – the first was easy, my good friend Joyce Gould. I was then stuck until Joyce suggested Denis, who I didn't know that well but was delighted when asked. Back then the ennobling ceremony was even more bizarre than it is today, lasting about eleven minutes. It involved a lot of hat doffing, with scope for things to go badly wrong – with an accident involving either the ermine robe or tricorn hat. I confess now that I was horribly nervous entering the full Chamber, but almost exploded into giggles with Denis immediately behind me intoning in a melodic voice: “Enter the chamber of the living dead dear boy, the chamber of the living dead”. Its silence merely emphasising his point as all eyes examined the novice peer. The dinner which preceded all of this had been a notable success, enlivened by Denis's wit and ability to entertain. Two of my children, Tom and Lauren, were both intrigued by the larger than life character who joined us. They laughed throughout lunch, as he regaled them with funny stories and one giant fib. Afterwards, Lauren – aged 7 at the time – said: “Dad, is it true that to join the Lords you have to grow bushy eyebrows?” I asked why and she replied: “That funny man with the big bushy eyebrows told me that to become a member it was compulsory... but you haven't got bushy eyebrows”. Denis had convinced her that not only was it essential but that I was now in trouble. During the years of the Blair governments, Denis's appearances in the Lords fell away. Hansard records a speech during a Queens Speech debate however, that captures shades of the great parliamentarian as he had a pop at the then Shadow Leader of the House, Viscount Cranbourne. The Conservative Peer was arguing for a degree of European isolation, a fact which Denis put down to him being an hereditary member. But Denis also used his speech to raise serious questions about NATO enlargement, a big issue at the time. Not long after this, Denis asked our then Foreign Office Minister, Liz Symons a particularly pertinent question about relations with both Israel and Iran and human rights abuses. That was probably his last contribution in Parliament to a matter of public policy. His voting record during the next few years became more sporadic as both his health and Edna's began to decline. Denis last voted in 2006 loyally backing our government on ID Cards, which he supported. Periodically as Chief Whip I would ring Denis up to see how he was keeping, and to occasionally ask if he felt well enough to come in and vote. Usually, I'd politely be told he was too busy and it would be true. He was often out and about around Alfriston giving talks to local community groups or taking part in events involving photography – another of his other great passions. I went to one of these at Sussex University, which had an exhibition of photographs from his political life. My last attempt to get Denis in for a vote was hilarious. Egged on by a couple of our advisors in the Labour Lords office, I rang him up to see if he would join us in trying to defeat the Conservative’s constituency boundaries stitch up. The conversation got off to a difficult start. Denis was a bit deaf and it took me a couple of goes to explain that I was “Steve, Labour’s Chief Whip in the Lords”. Denis was either hamming it up or just having me on by repeatedly asking “Where?” and then bellowed down the phone “I'm not dead you know - I'm still here. I’m alive!” Eventually, Denis agreed he would join us but only if I could organise a lift which I did. I rang the day before the crucial vote to check he was still okay to come in, and after another couple of false starts on my identity he told me he had double booked. But he did say that he thought voting down the Tory plans was a good idea and should be done more often. Denis will be remembered by all in politics, regardless of affiliation with affection. He was simply the best of politicians. A socialist, a man of firm conviction, a heavyweight intellectual, a mischievous wit and story teller, a patriot and someone the British public felt they could trust. Ultimately, a dreadnought class politician who helped rescue our economy and saved the Labour Party in its darkest hour. I am grateful to have known him and to have had my life enriched by his company.